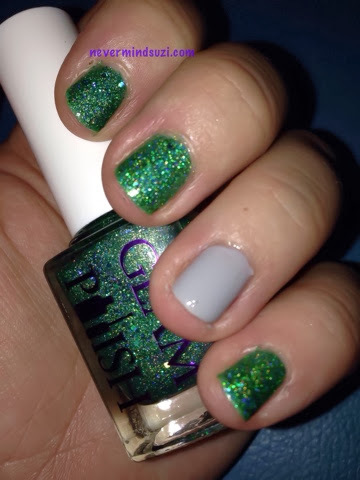 When I saw this challenge hosted by the lovely ladies above I decided it was time to dip my toe back in the challenge water. My attempts aren't anything sophisticated but I'm in it for the fun! 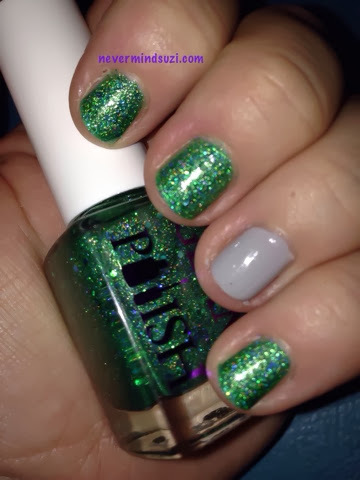 I used Glam Polish - Evanora as it's such a sparkly Christmasy green! On my ring finger I used Ciaté Cream Soda and added a pretty metal/enamel Christmas Tree decal. 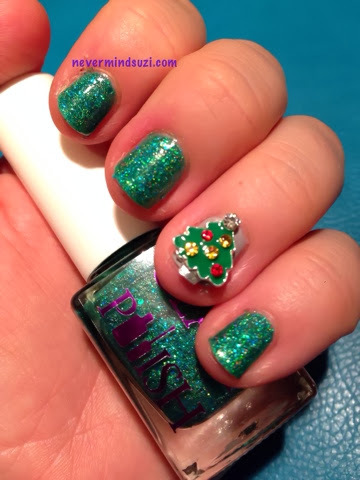 Such a sparkly mani, from the polish to the bobbles on the tree. cute! 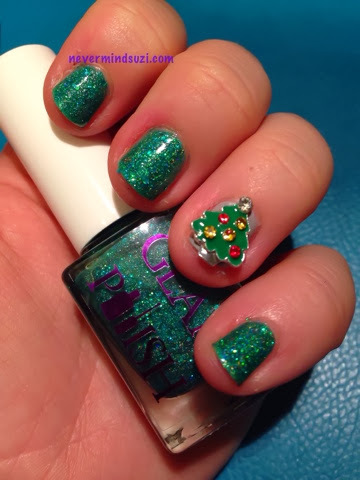 I love the little christmas tree charm you used. Such a good idea. and that is the perfect sparkly polish! This is very cute, I love it!